Are Ice Baths Proven As A Safe Muscle Recovery Method? Most of the questions athletes are likely to ask us, physical therapists, are those related to injury prevention and muscle recovery. In most cases, we often get questions about the use of ice baths. A number of athletes use ice baths for many different reasons such as when they have had a torrid practice, played a grueling game or when they increase their running mileage. Most people, including athletes, believe that ice baths help reduce inflammation as well as reduce recovery time. In other words, they help you feel less sore after you’ve come from a practice. But, is it advisable to take an ice bath after a workout? Have you ever imagined what happens to your body when you take the cold plunge for a prolonged period? According to theories, when you use extremely cold temperatures like that from an ice bath, your blood vessels constrict and this helps reduce the inflammatory response, which is mostly triggered by intense competition or heavy workout. Athletes who love using ice baths are motivated by the fact that ice baths improve recovery time in a less painful way. In fact, ice baths have an overall positive benefit compared to passive treatment, which only involves resting and nothing at all, according to a study out of Ireland. Nevertheless, more than a few medical professionals state that ice baths do not offer any benefits at all as far as muscle recovery is concerned. They further assert that you are unlikely to gain nothing at all if mostly you use ice baths to enhance muscle strength. A study conducted by the Journal of Physiology in 2015 realized that participants who went for an active cool down after a workout gained more strength compared to the ones who went for cold immersion. According to many people, active cool down brings in a psychological benefit of feeling refreshed and energized. And this psychological benefit can be handy to some individuals. If you want to experience this placebo effect with ice bath, it’s advisable that you take the cold plunge occasionally rather than routinely. Ice baths have sparked different views among health professionals. While some fully support it, more than a few support it partially, and the rest are totally against it. 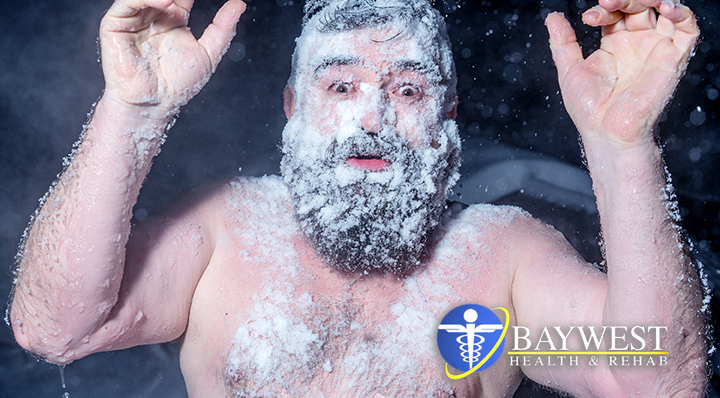 The ones who are totally against it argue that ice baths can expose you to various risks such as frostbite, not to mention the effects the cold temperatures can have on your heart rate. In general, we can conclude that ice baths can be beneficial and effective to some, but it may not be more effective than other available methods and treatment options. We advise that you don’t forget such proven recovery methods as healthy eating, using a foam roller, traditional icing, and stretching, because when they are combined, they can help eliminate stubborn muscle soreness as well as improve your recovery time. The use of ice baths should only be considered occasionally and not routinely. This is because it can expose you to several heart complications by having devastating effects on your heart rate. And if you were to use an ice bath, then try to combine it with other proven recovery options like stretching and using a foam roller, among others.